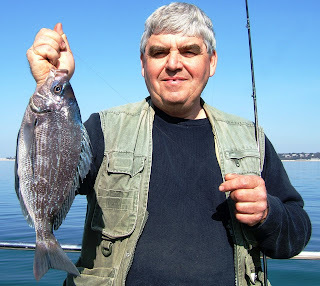 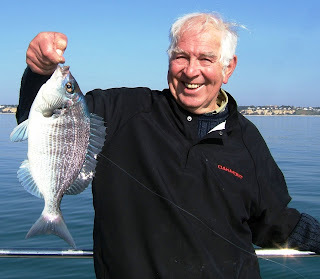 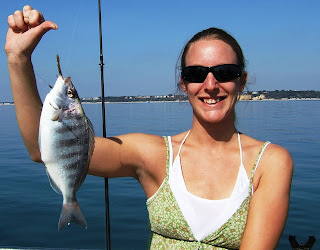 The bream fishing has been really excellent this spring with catches of 100+ on most trips. 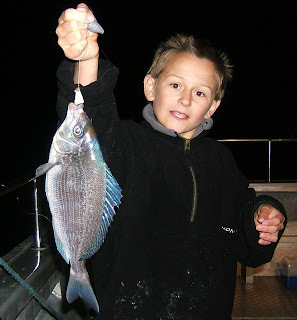 Young angler Richard Jones with one of 13 bream caught on his first boat trip a Tuesday evening trip, Tuesday evening trips continue throughout the summer. 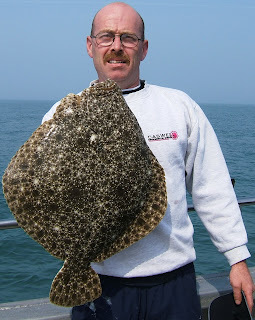 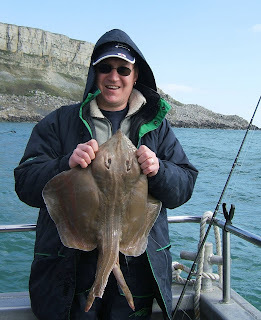 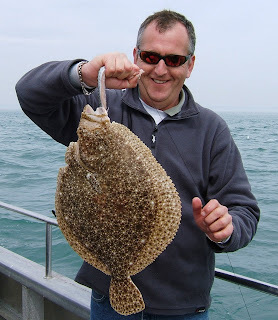 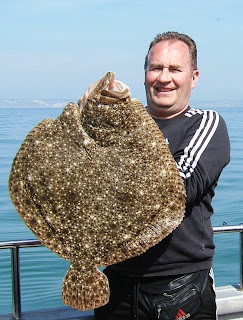 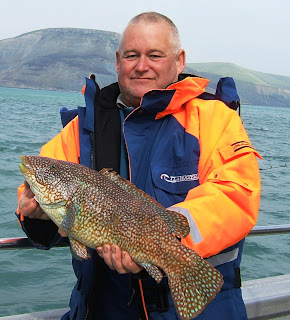 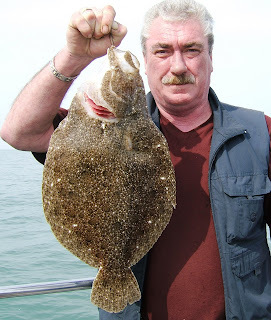 Chris Witcher with a fine 9lb Alderney brill. 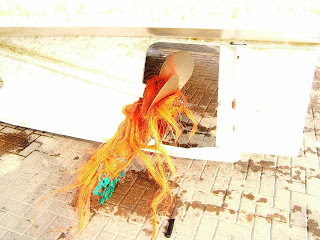 Silver Spray's own Bob Marley rasta wig. 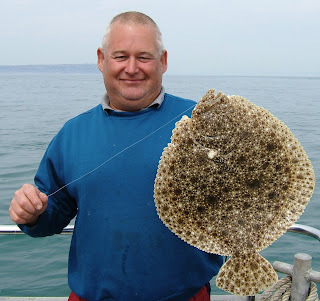 Caught 20 miles north of Alderney. 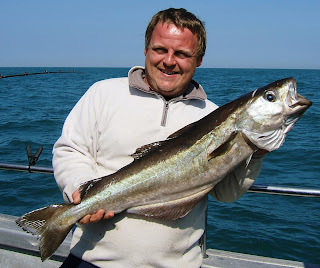 Silver Spray returned safely home despite the fresh NE wind managing a steady 8 knots on one engine. 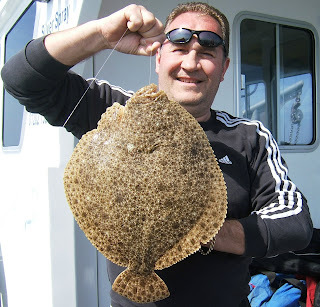 Dorset Lake Shipyard were standing by with their hoist and the problem was soon removed. 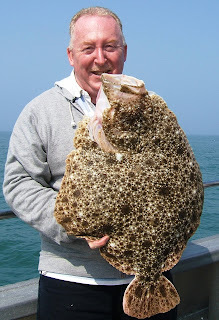 Rob Lissenburgh with 1st brill of 2007 a 4lber which had been attacked by something with teeth perhaps a tope? 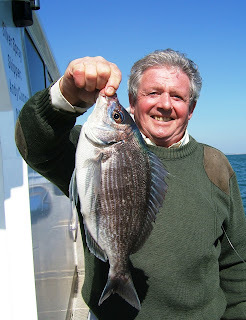 A group of keen anglers from Newbury came out for a crack at the spring bream. 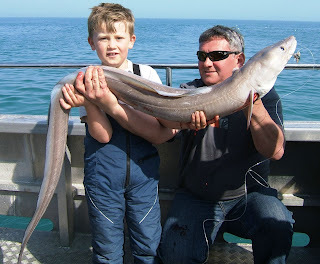 A wonderful day's sport was enjoyed on a perfect day with eneryone catching several fine specimens..
Jack Davies aged 9 from Devon with his first conger of three. 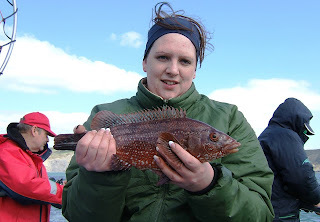 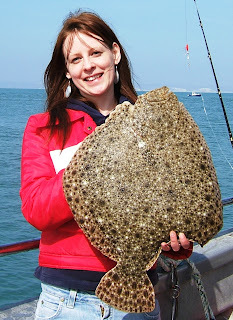 Jane Matthews from Sacrborough with her first fish, a pollack. 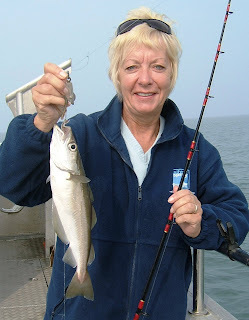 Jane went on to catch 14 fish comprising 5 species. 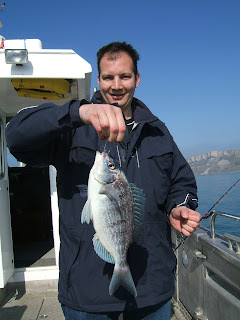 First bream of 2007 for Brandan Sajoe from Bristol and S.A. 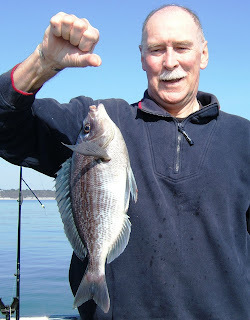 Finally the NE winds have given way to calm and sunny weather. 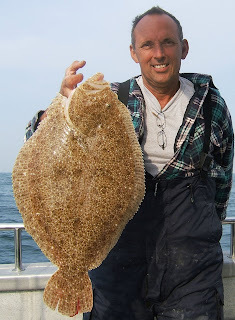 Silver Spray headed West to look for flatfish. 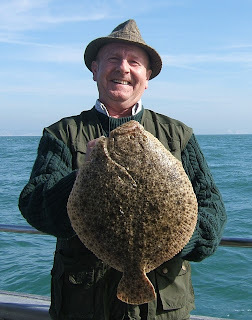 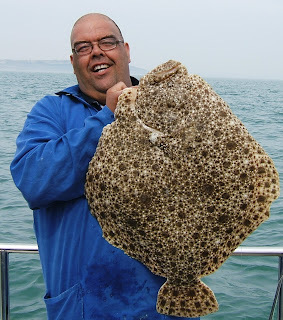 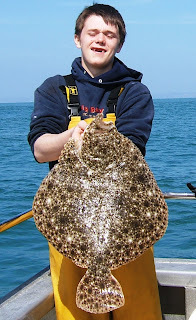 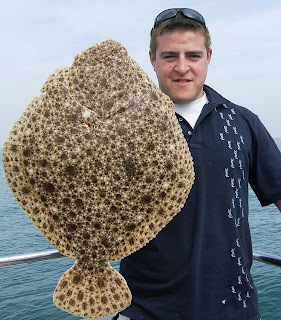 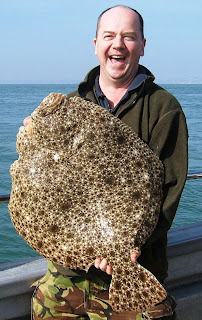 Andrew Leigh with his first turbot on 19lbs - looks happy!